This session will explore the relationship between scientific research and policy, from the perspective of both early career researchers and experienced policy makers. It will discuss the mechanisms of science communication for policy engagement and discuss how these differ from those used for public engagement. And explore possibilities for cultivating expertise within the scientific community in order to develop the relationships and skills necessary to communicate the outcomes of research programs effectively to policy-makers, in order to facilitate and inform effective evidence-based policy-making. Developing these skills is of particular importance as we enter the fourth industrial revolution, as big data presents both an opportunity and a challenge to policy makers. Effective communication with scientists working in data intensive research areas can provide an improved quality of evidence, insight and analysis for policy-makers – but it also brings the challenge of rapid and adaptive policy-making in return. Moderated by Dr Tshiamo Motshegwa from the University of Botswana, panellists in this session include the 2018 DARA Big Data Science Policy Fellows, early career researchers selected from across Southern Africa working in the data intensive scientific research themes of Radio Astronomy, Sustainable Agriculture, and Healthcare. The fellows receive training in communicating scientific research to policy makers and will reflect on their own experiences during the session. 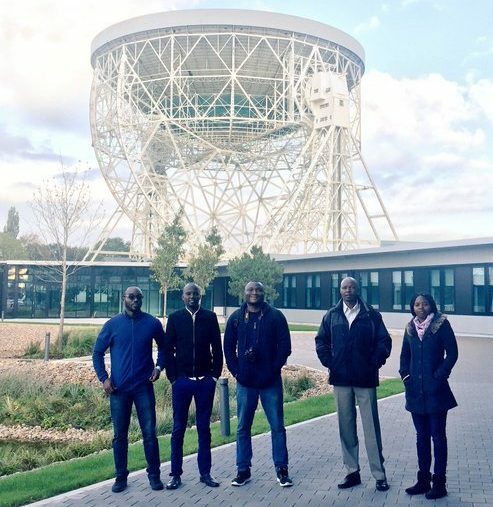 They will be joined by Mr John Wade-Smith, regional head of the Science & Technology network for the UK Foreign & Commonwealth Office, and Dr Vanessa McBride from the International Astronomical Union Office of Astronomy for Development.